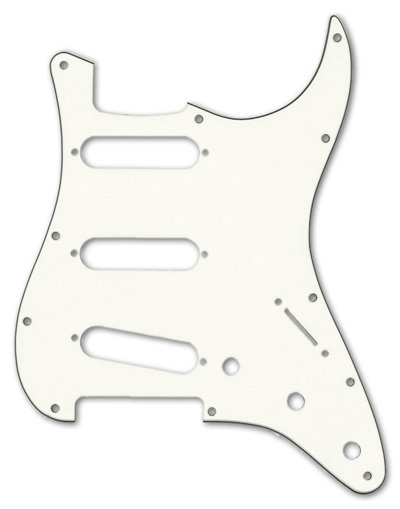 Genuine Fender® Stratocaster® parchment, 3 ply, standard 11 hole pickguard for three single coil pickups (SSS). Parchment / Black / Parchment. This pickguard is fully aluminum foil shielded.